Paper HeARTIST: Ripper, you little! You may be wondering what the title of my post means. It's actually a clue. According to the Australian Slang Dictionary, it's an "exclamation of delight or as a reaction to good news". So any guesses? Well, yesterday, Close To My Heart put out a press release making it official! CTMH is going "down under"! How exciting is that?! 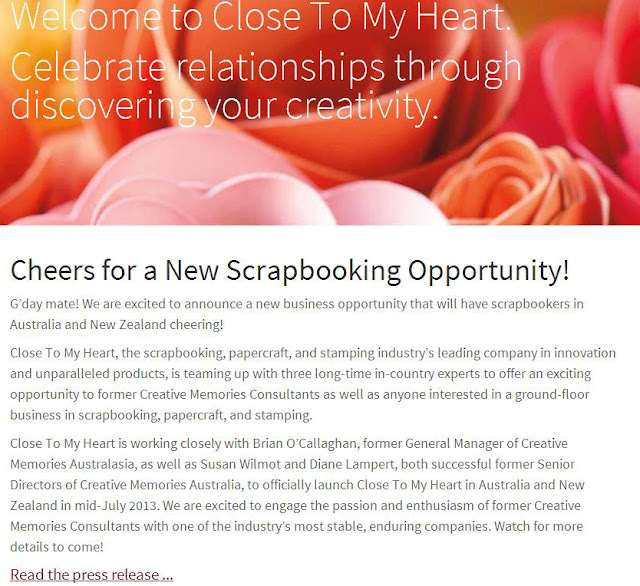 It doesn't really affect me on a direct personal level, but I think it's great for CTMH and I know it's great for my fellow crafters living in Australia and New Zealand. Besides, I have a fondness for anything Australian, so it tickles me pink to see CTMH make this move. One of my top three dream vacations is to Australia. My first concert ever was Rick Springfield. My childhood female idol was Olivia Newton-John (wore that record slap out). One of my all time favorite bands back-in-the-day was INXS. I named one of my snakes "Steve" after Steve Irwin. One of my favorite country singers today is Keith Urban. One of my favorite actors is Russell Crowe and my favorite thing about Australia? Hugh Jackman...need I say more? Now I know it may be hard to keep reading with handsome Hugh staring at you (hypnotizing, isn't he?) LOL ...but here's the announcement. If you'd like to access the official press release and read more about how awesome CTMH is with regards to helping all the former Australian and New Zealand Creative Memories consultants who are were out of business, you can click here. Makes me wonder if there are any plans for the U.S.....hhmmmmm. So, tell me. What do you think about this news?